2019: Is It a Good Time to Buy Solar Panels? Solar power has been growing fast in the United States, especially during the last decade. Back in the year 2000, the total photo-voltaic capacity in the country did not even reach one gigawatt. However, the Solar Energy Industries Association (SEIA) reported over 60 gigawatts at the end of 2018 – this is equivalent to the electricity consumption of 11.3 million American homes. In great part, the growth of solar power has been possible thanks to ongoing price reductions in photovoltaic technology. At the same time, the efficiency of solar modules has improved, and they can now deliver more kilowatt-hours per square foot. When a technology accomplishes more work at a lower cost, it becomes a better investment. As of early 2019, residential solar arrays in the US cost around $3 per watt of capacity. Large-scale solar arrays used by businesses and energy companies are now being installed for less than $1 per watt. Their unit cost is lower thanks to economies of scale. In the year 2000, it would have been impossible to get solar panels for less than $10/watt. 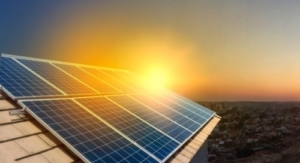 Price is very important when purchasing a solar power system, but you must also consider the sunshine conditions at the intended installation site. Texas and California are sunny states, but you must ensure that your property is not shaded by buildings or natural obstacles before deploying solar panels. Local economic factors also affect the financial performance of solar PV systems. For a given energy output, you get higher savings in states with expensive electricity, since each kilowatt-hour is worth more. Incentives such as tax breaks and renewable energy credits can further improve the performance of a solar array. One of the most successful incentive programs for solar power in the US has been the 30% federal tax credit. Being a federal incentive, it applies in all states regardless of local regulations. For every $1,000 invested in an eligible solar power system, you can claim $300 as a deduction from your federal taxes. The benefit applies for homes and businesses. If your tax payment is not high enough to use the entire credit at once, the rest can be deducted the following year. Keep in mind that the full 30% tax credit will only be available until the end of 2019, before being reduced to 26% in 2020 and 22% in 2021. The benefit will no longer apply for homeowners from 2022 onwards, and businesses will only get a 10% credit. Although the price of solar panels is expected to continue decreasing, US homeowners will lose the chance to get a solar tax credit within the next three years. Unless the installed price of solar arrays drops by more than 30%, you will end up paying more even if their sales price is less. Depending on where you live in Texas, your solar power system may also be eligible for cash rebates. Since there is no statewide program, the best way to know is by contacting your electric delivery company. Some municipal electric companies have also developed rebate programs. If your solar power system gets a rebate, the 30% federal tax credit will be calculated based on the net cost after the rebate. The cash rebate represents capital that you are not paying, so it is not included in the tax credit calculation. Some solar rebate programs available in Texas are listed below. The incentive is based on the output after the inverter has converted solar generation into alternating current – the power used by your home appliances. The incentive is not based on the rated capacity of the array (direct current). 2019 provides an excellent chance to take advantage of the 30% tax credit for solar panels, and you can get even more benefits if there are solar incentive programs in your area. Keep in mind that the tax credit is available even if you purchase the solar array with a loan; there is no need to pay the full price at once. Make sure you get a professional assessment of your property before purchasing any solar power products. Some properties are covered by the shadows of taller buildings, which reduces the effectiveness of solar panels. Also consider that older roofs may lack the structural capacity for a solar array. How to Prepare for a Blackout Why is Energy Conservation Important?